Best friends Buzz and Woody from Disney Pixar's Toy Story help keep your cuffs together! 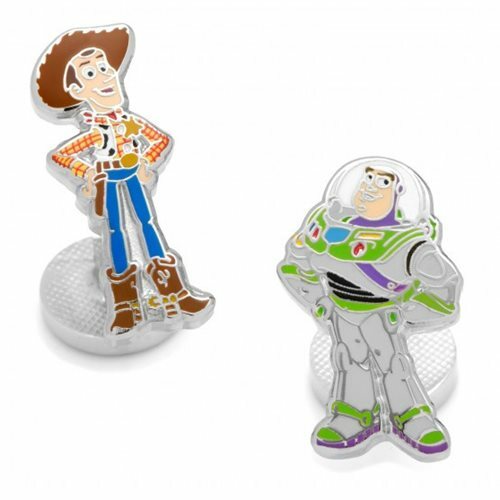 These Toy Story Woody and Buzz Lightyear Cufflinks feature fun cartoon versions of Sheriff Woody and Buzz Lightyear of Star Command. You don't have to be Andy to get 'em!